The way in which we measure energy has been the same for some time, which poses the question, does it need an update? Since the government announced their plan to start rolling out new ‘smart’ meters, a number of concerns have been raised, including apprehension and issues surrounding data and security. An apparent concern so far is that the new smart meters will effectively lock the owner into a contract with whichever supplier installs them – if you fit a smart meter with one supplier then wish to change to a new supplier, the smart meter would not be compatible with the new supplier, but instead it would just act as an old-style meter. EF: So, how do we currently measure gas and electricity in terms of working out a price? SB: Our home energy costs are charged on a pence per kilowatt hour basis e.g. 15 pence per kwh which is often supported with a “standing charge”. The standing charge is applied every day of the year whether any energy is used or not, so it’s something that can have an effect on holiday homes or for those who work away from home regularly. The amount charged will vary by supplier but also by the area of the country in which you’re based. The reason we have varying prices by region can come down to how competitive a supplier wishes to be in that area and how costly it is to supply. For example, it works out a lot cheaper to provide energy to a large city than it does to channel cables and pylons across mountainous areas such as Northern Scotland. EF: With these factors in mind do you think we need a new way to measure energy? SB: I don’t think a new way of measuring energy is necessary but certainly greater transparency on the make-up of our energy costs is required to help understand how our bills are affected by factors such as the wholesale market, distribution costs, third party costs, and taxes. Another key element of getting our bills under control is knowing how, when and where we’re using our energy so that we can reduce waste and become more energy conscious. A key enabler for this is the “smart meter” roll-out and devices such as home energy monitors which can cost as little as £20. Combine the knowledge acquired through these devices with a proactive approach to ensuring you’re on the cheapest tariff, and you’ll save hundreds of pounds on your energy bills every year. EF: In regard to the new smart meters what is your opinion: do you think they’ll block consumers from switching? SB: I don’t think they’ll block people from switching, but they certainly could act as a barrier if customers lose operational capabilities - meaning their smart meter doesn’t operate as it should. For those with a smart meter, it’s worth noting that switching between suppliers can result in losing interoperability, therefore resulting in your meter defaulting back to acting as a normal meter. This isn’t the end of the world and only really has an impact on the data being fed back to your supplier. If you like the data and insight your smart meter provides, you can invest in a home energy monitor that will act in a similar way to ensure you can view your energy usage. Granted it won’t be as clear but I think the key here is ensuring you’re paying less for your energy as that is where the biggest savings sit for most of us. The way we measure energy and the latest technology have met, and so far there seem's to be a few problems presenting themselves. It would seem that the way in which we measure energy does not need an update, but instead, that the smart way to send information to your supplier does. 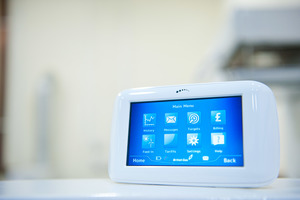 If you could switch supplier and keep the smart meter ‘smart’ we could see a new technologically advanced way to switch and save in the UK – this could be done through a government scheme which would require all suppliers to use the same technology therefore the smart meters could work in every home.